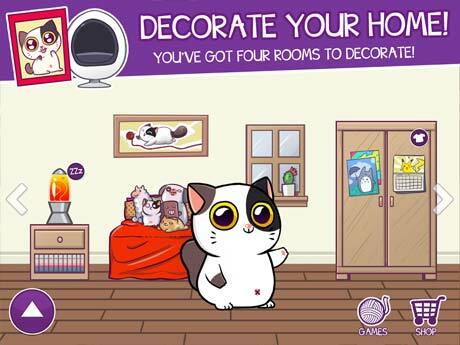 Mimitos Meow Meow is your new virtual pet. It’s a funny and loving cat that is waiting for you to be looked after. He needs you to adopt him and also take care of him. Feed him, play with him, tickle him…! 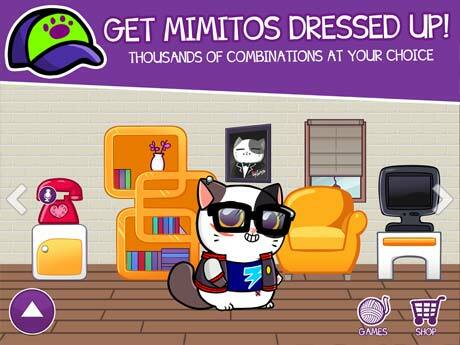 Customize your little Mimitos and make him a unique and charming cat. Will you be able to keep it healthy and happy? In adddition, the game has 8 funny minigames and a beautiful garden where to grow your own food. – Adopt Mimitos and, start to play with him! – Dress him as you like it, choose his clothes, his accessories. It’s up to you!. You’ve got more than 100 pieces of clothing to choose. – Customize his home. Choose the furniture, decorate his bedroom, customize the kitchen, choose the colour of his living-room walls, the pattern on the floor… Free your creativity! – Feed him. You have got lots of food to choose from, but… just a tip: he loves sushi. – Play with him and tickle him. Remember that he needs your cares to be happy! – Wash your Mimitos and keep him clean to avoid illnesses. – Make him go to bed to recover all the energy to play. If you want, you can share your records in the social networks or visit your friends’ cats to have a look at their clothes and decoration. BUGS. Many bugs attack Mimitos’ food. Avoid it not to run out of it! 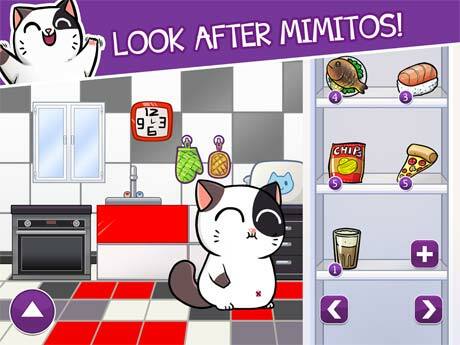 Rate Mimitos Meow Meow and give us your opinion!